Color Me Powerful! is the perfect place to express your girl power--from daring doodles to bold drawings to big dreams! Inspiring prompts, coloring pages, list starters, phrases, and patterns—all featuring DC's female super heroes—jump-start the imagination. Wonder Woman, Supergirl, Batgirl, Bumblebee, Katana and other beloved characters appear throughout colorful pages that encourage girls to doodle their own super hero name, design a motto, create a costume, and other creative pursuits befitting a super heroine. Classic DC art and a fun retro design complete this inviting package. 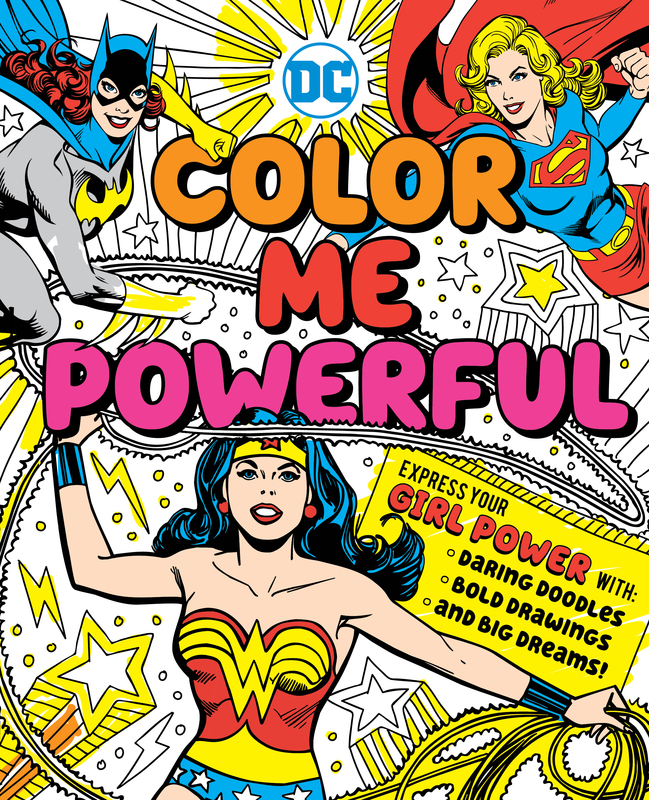 Book Cover Image (jpg): DC Super Heroes: Color Me Powerful!